When questions of why we oppose the feminist movement and why we are men's rights activists comes up one of the issues frequently overlooked is the fact that the largest feminist organization in America has consistently opposed shared parenting bills. These bills are designed to ensure that fathers by default have an equal amount of time with their children and remain a permanent fixture in their lives. Father's rights groups have had to fight feminist organizations like The National Organization for Women since at least 1986 for the right to shared custody. "Women's groups who boycotted nationwide government consultations on changes to divorce law because they refused to sit at the same table as men could get the female-only hearing they have demanded. Although the consultations ended last month, the Justice Department and its provincial partners are considering a special session for "women's equality-seeking organizations" that are fighting proposed changes to the federal Divorce Act. 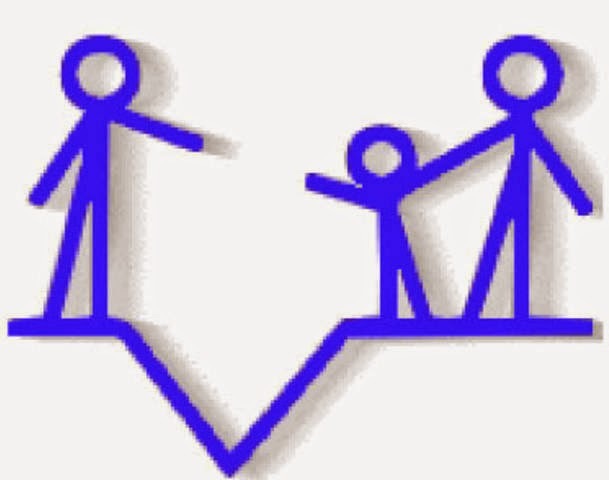 Those changes would give separated and divorced parents an equal say in raising their children under a new concept called shared parenting. caregiver creates an unstable, even traumatic situation for the children. So as you can see from the text of the actual bill, NOW was lying through their teeth about the bill not considering all other factors before awarding shared custody. But this is just the tip of the iceberg concerning the feminist movement and NOW's anti-family activity. The National Organization for Women is the largest, most powerful, feminist organization in the United States, the pressure they place on politicians makes a huge impact on what bills are passed and which bills are not passed. When debating about the evils the feminist movement have wrought they need to be held accountable for depriving countless numbers of children from having fathers in their lives and by extension they need to be held, at least partly accountable, for the psychological mayhem that results from children not having adequente time with their dads. There's been a willful annihilation of fatherhood, and of masculinity in general, for the past century in America. Ironically, perhaps the single most destructive piece of legislation was the Civil Rights Act of 1963/1964. The original intent of this measure was restoration of fatherhood in inner-city neighborhoods. Thus, an attempt to heal America from the inside-out, amongst the most fatherless populations. Instead, the Act was later 'amended' to declare all U.S. females as members of a gendered 'protected class'. This enabled and funded modern feminism at the U.S. federal (and, in fact, global) levels. The results, unfortunately, are obvious all around us. Thanks for the excellent article on the NOW's involvement in crushing western males, and in gleefully and profitably separating little boys from their daddies. People will look back on this period in history with disbelief and with grief . . . that any nation could, and would, embrace such self-negating, hateful policies. Great website and everybody keep up the good works. Don't let the scum ruin your families and take your sons and dads away from you. Expose their methods and mentalities. You're welcome Ray and thank you for the very informative mention of the Civil Rights Act and how feminists co-opted it. People definitely need to hear that. Also thanks a lot for all of the support. We will keep up the good work my friend.